Samira K. Beckwith, president and CEO of Hope HealthCare Services, has been appointed by the Florida House of Representatives to serve on the state’s Purple Ribbon Task Force to address Alzheimer’s disease. 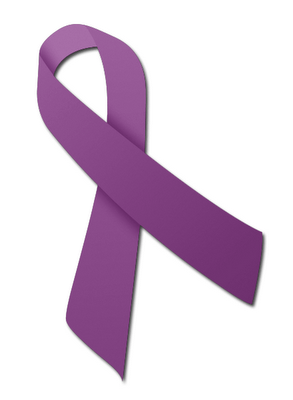 The Purple Ribbon Task Force – named for the purple ribbon that denotes support for an Alzheimer’s cure – will assess the current and future impact of Alzheimer’s disease on the state’s healthcare system and develop a strategy to address the future needs of Florida residents. Approximately 520,000 Floridians have Alzheimer’s, a slow, progressive disorder of the brain that results in the loss of memory and cognitive functions; that number in Florida alone is expected to triple by 2050. “Caring for those with Alzheimer’s disease at all stages, and their family members, is an important part of our work at Hope,” Beckwith said. “The disease takes an extraordinary toll on loved ones, particularly family caregivers. Through programs like PACE and caregiver support groups, we’re reaching those who are affected by this debilitating disease. “Participating in the Purple Ribbon Task Force will help us share and learn about best practices at all levels, and to focus on programs for the future,” Beckwith said. PACE is the Program of All-Inclusive Care for the Elderly, a total healthcare solution for people who are 55 and older in Lee, Collier and Charlotte counties. The program helps meet the needs of seniors, including those with Alzheimer’s, while helping to provide relief for families and caregivers. Beckwith served as a state delegate to the White House Conference on Aging, was a Governor’s appointee to the Long-Term Care Policy Advisory Council, serves on the boards of the National Hospice and Palliative Care Organization, the Duke Institute on Care at the End of Life and the Florida Hospice and Palliative Care Association, and is the founding president of the Florida PACE Association.